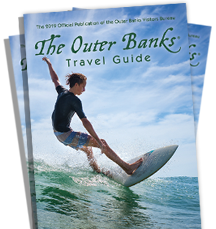 Situated in the quaint village of Duck, Ocean Pines is an escape to the quieter part of North Carolina’s Outer Banks. The property’s 1-and 2-bedroom units feature private balconies, full kitchens and fireplaces. Enjoy the indoor pool, tennis court, game room or playground. Ocean Pines features one- and two-bedroom units, each with a king-sized bed in the master bedroom. Each unit also has a living area adjoined by a fully-furnished kitchen, with a microwave and refrigerator. The two-bedroom units feature a second bedroom with two twin beds and a separate full bathroom. Additionally, the area’s shopping, dining and live entertainment venues make Ocean Pines a relaxing getaway, central to all the area has to offer.